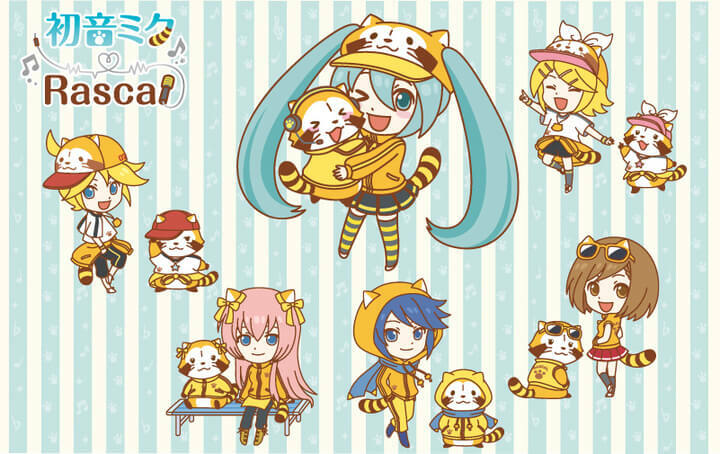 Hatsune Miku and the rest of the Vocaloids are collaborating with Rascal the Raccoon to release a line of cute merchandise. 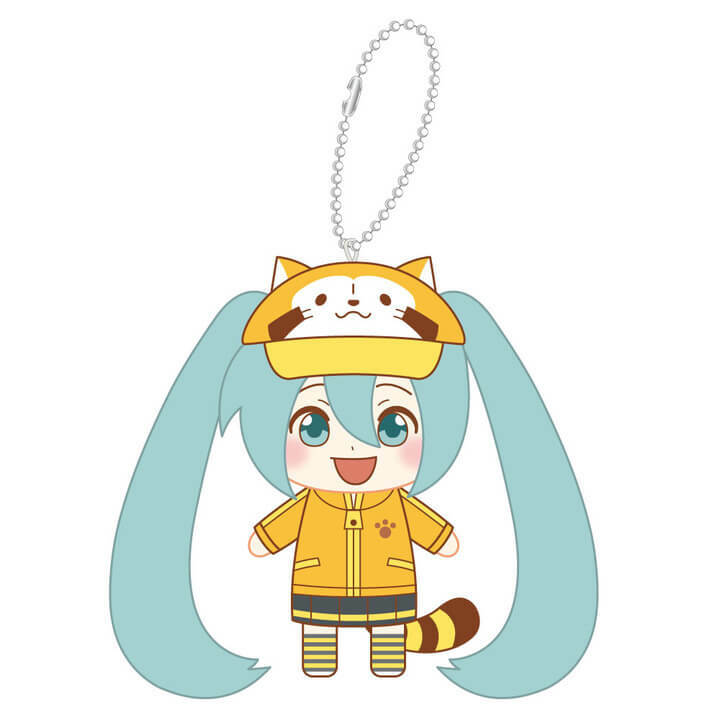 They will first be available from August 25 at Nippon Animation’s official shop ANi★CUTE, the Vocaloid live event Magical Mirai 2018 and Kyoto International Manga Anime Fair 2018 before hitting general sale at the end of September. Rascal the Raccoon is a Japanese animation series by Nippon Animation. Hatsune Miku is the character for a Vocaloid music software of the same name by Crypton Future Media. The two franchises came together for the first time in 2017 to celebrate Rascal’s 40th anniversary and Miku’s 10th anniversary. People liked it so much that they decided to bring it back for a second round. 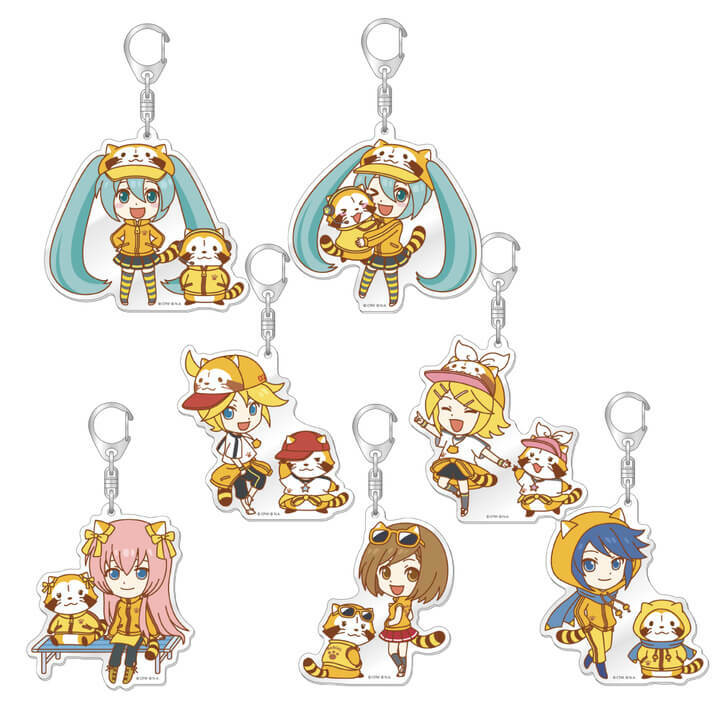 Joining Miku again this year is Kagamine Rin & Len, Megurine Luka, KAITO and MEIKO. The merchandise illustrations include superdeformed designs, as well as new regular proportion designs currently in production. The regular designs will be posted at a later date on the official Rascal the Racoon website and official social media pages. 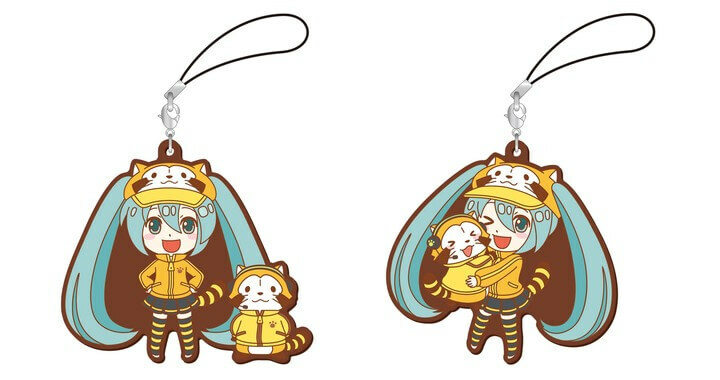 At 70mm x 70mm, this slightly large ‘lovers’ strap features Hatsune Miku and Rascal. Slightly large acrylic keyrings at 80mm×80mm. 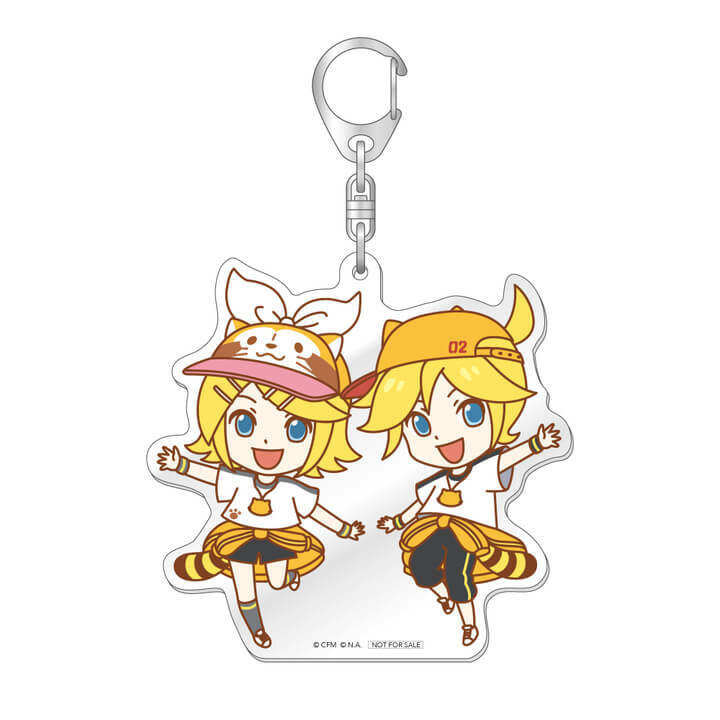 If you purchase the box set, you can get the special Rin & Len keyring pictured above. A cute plush that can be used as a keyring or finger puppet. More items are set to be announced, so be sure to check the official website for the latest details.. Location: Miyakomesse (Main Venue), Kyoto International Manga Museum (2nd Venue). Both venues are in Kyoto. © Crypton Future Media, INC. www.piapro.net © NIPPON ANIMATION CO., LTD.